It’s a forgone conclusion that university parties will be host to underage drinking. What you’d hope is that the underage drinking wouldn’t be so out of control that the air in the room itself could register on a breathalyzer device. It’s hard to believe but it’s true: a party held off-campus at American University in Bethesda, Maryland was packed to the rafters with underage drinkers. They were attending what’s known as “Tequila Tuesday,” and the alcohol was flowing steadily. When police arrived, they found people locked in the bathroom and others jumping out of the second story window. They charged the six people hosting the party, and between the six of them they received 126 counts of providing alcohol to minors. That’s bad enough, but the underage drinking isn’t the most shocking thing about this party; it’s the space it was hosted in. When police pulled out the breathalyzer to test the occupants in the house, the air in the house registered a .01. Having a .01 breathalyzer reading isn’t overly significant if you’re a person blowing into the breathalyzer, but the air in the house would have to be overloaded with alcohol fumes in order to register on the device. There would be two major concerns for the police who responded to the call about the party: one, they would be worried about underage drinking and alcohol poisoning, and two, they’d be on the lookout for underage drinking drivers. The State of Maryland has a zero-tolerance law for drunk drivers under the age of 21, and that means if they are caught driving with even a .01 percent blood alcohol content (BAC), they could have their driver’s license suspended. This is one party that will definitely go down in Maryland record books, and it’s safe to say both police and university officials won’t want a repeat of it anytime soon. Gamers, whether they’re young or old, have often been stereo-typically classified as a form of zombie who stares at a screen and plays games all day, sometimes from the cozy confines of his or her parent’s basement. But that’s not the reality for most modern-day, college gamers: these are young adults enrolled in school who simply enjoy the characters, action, and story-line behind the game, and because this group is so in tune with what they’re playing, they were the perfect focus group for a study that could predict whether or not they may be arrested for DUI in the future. It sounds strange to place warnings about the dangers of drunk driving in a virtual world, but that’s exactly what researchers did in a three-part study. 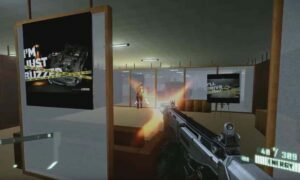 It focused on almost 400 college-age gamers playing a game, and researchers inserted anti-drunk driving messages from Mothers Against Drunk Driving (MADD) in the background of situations where the gamer would be engaged in shooting, driving, or other tasks. Their theory was that if they timed the placements at moments when the participant was completely engaged, there was a higher likelihood that they would accept the messages as the truth. Some of the messages said, “I’m just buzzed” while showing a crash scene, while others said “Don’t drink and drive” and the poster had bullet holes all over it. 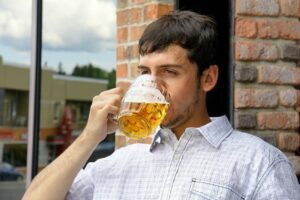 What they found after the study was that the participants who played and saw the PSAs, both male and female, said they had were much less willing to drink and drive in the future. That means they are much less likely to be arrested for DUI outside of the virtual world, and even on such a small scale, that’s good news. The study was so successful that it’s getting attention from a branch of the Federal Government for possible use as a strategy to reduce smoking and e-cigarette use. One group just received an almost $400,000 grant to test for themselves how these graphics will work to reduce smoking rates, so the sky is the limit as to how they could implement a program like this for drunk driving. Will video games be the path to stopping this generation from being arrested for DUI? It’s hard to tell from one study, but if these gamers are any indication, this might be one of the path ways to sober drivers in the future. The only thing that’s true about reality television is that it’s not going anywhere anytime soon. Television shows that give people a glimpse into the life and drama of strangers have been extremely popular for a long time, but what happens when a reality TV show highlights something that’s illegal, dangerous, and definitely not entertainment? That happened recently when MTV made the choice to broadcast one of the stars of Teen Mom OG as he was driving under the influence of drugs. 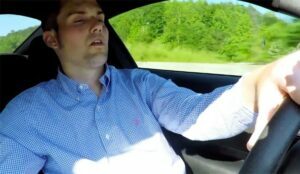 Ryan Edwards was filmed driving to his own wedding with his fiancé in the vehicle beside him. From the video clip you can see his eyes closing, how he’s having trouble staying awake, and you can hear how his voice sounds slurred. It’s obvious to his fiancé in the clip that he’s under the influence of something, and she shuts the cameras off to confront him. When the show aired fans were shocked MTV made the choice to air that clip, and many questioned why MTV didn’t step in and stop him when it became clear he was driving under the influence. Given the dangers of DUI and how easily it would have been to crash and kill someone, it’s hard to understand how a major network could justify it. MTV responded by saying they don’t condone DUI and he was driving without anyone’s prior knowledge of his condition as there was no cameraman in the car. That doesn’t explain why whoever shot the clip for the show didn’t realize he was impaired, or why his fiancé didn’t ask him to immediately pull over. Driving under the influence of alcohol, street drugs, or prescription drugs isn’t something that should be used to add excitement to a reality TV show. Although MTV did air a disclaimer at the end of the program and provided an update so the public knows Edwards has since sought drug counseling, it’s still a poor choice on behalf of the network. It looks like an attempt to normalize driving under the influence, and let’s hope that’s the last time someone is shown in the middle of a DUI on reality television. If you ask a parent how to stop teen drunk driving, they’ll tell you there are no easy answers. Each teen makes up their own mind and will make their own decision on what to do when in a situation where there’s alcohol, and all a parent can do is hope they’ve given their teen enough information and support to make the right choice. But school officials want to go one step further and make sure that teen drunk driving doesn’t happen on their watch, and that’s one of the reasons why you’re starting to see more and more high schools require teens to blow into a breathalyzer before they’re admitted to events like prom. Several high schools in Texas have begun requiring breathalyzers at the door of voluntary events like prom and homecoming, and although there has been some controversy over doing so in the past, it’s starting to become the norm to see a police officer, with breathalyzer in hand, at the door of the dance. Teens have been attending events like Prom and Homecoming for years, so why are school administrators now taking the steps to detect any trace of alcohol in students? Every school has their own reasons, but it may just come down to zero tolerance and the potential danger of any underage drinker having access to alcohol. Even one glass of alcohol, drank before or during Prom, can affect a teen’s driving skills. While that teen may appear to be fine to school administrators, if she or he has been drinking and then gets in a car after, something tragic could easily happen. The only way to really tell if someone has been drinking prior to the event is to assess them with a breathalyzer. Teen binge drinking can be deadly, and if students are left at a large event with alcohol, one drink can easily lead to another and another. Drinking a large amount of alcohol in a short amount of time can end in alcohol poisoning or worse, death. Underage drinking can easily lead to teen drunk driving and teen binge drinking, and that’s something Texas high schools are actively trying to prevent this prom season. It might seem as though having a police officer with a breathalyzer is an extreme way to achieve that goal, but with so many lives lost to drunk driving, sometimes extreme is the only way to go. Drunk driving can take a otherwise amazing life full of potential and end it in the blink of an eye. That’s why it’s so difficult for families who have lost someone and have become victims of a drunk driver: because drunk driving is a choice, those families know that their loved one would be alive right now if someone didn’t make the irresponsible decision to get behind the wheel drunk. Florida has more than its fair share of these drunk driving crashes, and after one South Florida family lost their husband and father, they are stepping out and attempting to stop drunk drivers with a new campaign. Walter Reyes was riding his road cycle with a friend when he was struck by a 21-year-old drunk driver in Key Biscayne. The drunk driver struck both cyclists, and the impact shattered his windshield. Reyes died from the injuries sustained in the crash, and although the drunk driver left the scene, he returned shortly after and was arrested. He pleaded guilty to the crash and was sentenced to two years in jail, two years house arrest, and ten years probation. The campaign was launched in partnership with Mothers Against Drunk Driving (MADD), and they both feel it’s an urgent program for Florida teens. According to MADD, one in three teens have got into a vehicle with someone they know has been drinking or they know is drunk, and with those statistics it’s only a matter of time before someone you know or love becomes victims of a drunk driver. It’s a timely campaign on the two year anniversary of the Reye’s family loss, and if all of the effort makes even one teen re-think that decision to drive drunk or go along with a crowd that is, another life can be be saved. That countdown until you’re 16 years old can feel like forever, and once you have your driver’s license, finally getting to experience the freedom to drive is an exciting thing for a teen driver. Unfortunately there are a lot of teen drivers who never make it out of their teens, and its all because they end up in an alcohol-related crashes that take their lives before they’ve really lived them. According to WalletHub, the summer season is when a lot of teens are getting their driver’s license for the first time. Coincidentally, the summer season is also when a lot of alcohol-related crashes occur thanks to summer parties and the rush back to school in August. That’s why WalletHub choose this time of year to publish the best and worst state for teen drivers. New York leads the way as the best state for teen drivers, but they didn’t come in at the top of the heap in all of the categories. The lowest number of teen DUIs per teen population went to Delaware, so if you’re worried about your teen drinking and driving, you may be happy you live in the state. The highest number of teen DUIs per teen population went to Wyoming, and the state appeared second from the bottom of the list overall. The fewest teen fatalities per teen population also went to Delaware, while the most teen fatalities per teen population went to West Virginia. Some states have graduated licensing (GDL) for teen drivers, and out of all those states Connecticut is the best with at least five of the seven GDL criteria met. The worst is Alabama, meeting only two out of seven GDL criteria. If you’ve got a teen driver in the house, maybe this data will ease your mind when you hand over the keys. The best course of action you can take is to use information like this to talk with your teen. No amount of statistics are going to make your teen choose correctly when it comes to drinking and driving, but you can make a difference if you have open, honest communication about the dangers of alcohol-related crashes. There’s nothing so scary as when a parent hands the car keys to their teen for the first time. There’s so many emotions associated with letting your teen go off and drive, especially considering that there’s a lot of data out there showing that teens are more likely to die in a traffic crash than any other way. That’s why some parents consider putting an ignition interlock on their teen’s car. Why would you put an ignition interlock, something that stops convicted drunk drivers from driving drunk, on a car your teen drives? Here are three good reasons. According to the Centers for Disease Control and Prevention, there were 2,163 teens killed in the United States due to motor vehicle crashes in 2013. Although the incidents of teen drinking and driving has been dropping every year, recent data showed that nearly one million teens made the decision to drink and drive in 2011. You can talk to your teen about the dangers of drinking and driving, but you’ll never be 100% sure when they leave home if they’ll cave to peer pressure. With an ignition interlock on the vehicle, they may decide to drink but they won’t be able to drive. Teens hold a lot of parties in the summer, and if your own son or daughter attends one of these parties, they might decide to drink. If you’ve given them the keys to a car equipped with an ignition interlock, you won’t need to worry about whether or not they’re going to get home safe during summer vacation. For many teens, going away to college is their first real taste of freedom away from mom and dad. There’s a lot a parent worries about, especially when you hear the stories of binge drinking and parties. Since you won’t be there to watch over your teen and stop him or her from drinking and driving, your ignition interlock can do that job for you. It’s one less worry when your child moves away from home to go to school. A voluntary ignition interlock installation is a quick, easy step you can take to get peace of mind when your teen is out in the world without you. If they blow with alcohol on their breath, the car won’t go, and it’s one of the best ways to keep them safe from traffic crashes. Teen binge drinking has been a real problem in the United States for decades. It’s not just scary because developing teens shouldn’t be drinking alcohol in the first place; it’s dangerous because those teens could end up dead due to alcohol poisoning or drinking and driving. That’s why it’s encouraging to read the latest results from the 2015 National Youth Risk Behaviour Survey (YRBS). Released every two years by the Centers for Disease Control, it details the binge drinking and underage drinking rates for secondary students. The YRBS surveyed 150,000 high school students in the United States, and they were very happy with the results. According to the survey, secondary students in the past ten years have become a lot smarter about binge drinking. The data showed a consistent decline at a statistically significant rate for the past decade. Times have definitely changed for teens. It used to be perceived as cool to binge drink, and you’d see teens on television, movies, and media drinking to excess and having a great time. That message has changed though, and underage drinking isn’t cool anymore. Now you’ll see public service announcements to stop underage drinking, stiff fines for parents who “boot” for their kids and host underage drinking parties, and an overall theme of avoidance until teens turn 21. The message has changed with good reason. Research has shown that drinking alcohol at a young age can increase the likelihood that the teen will abuse alcohol as he or she ages. Binge drinking can lead to drinking and driving too, and traffic crashes are the leading cause of teen death overall. 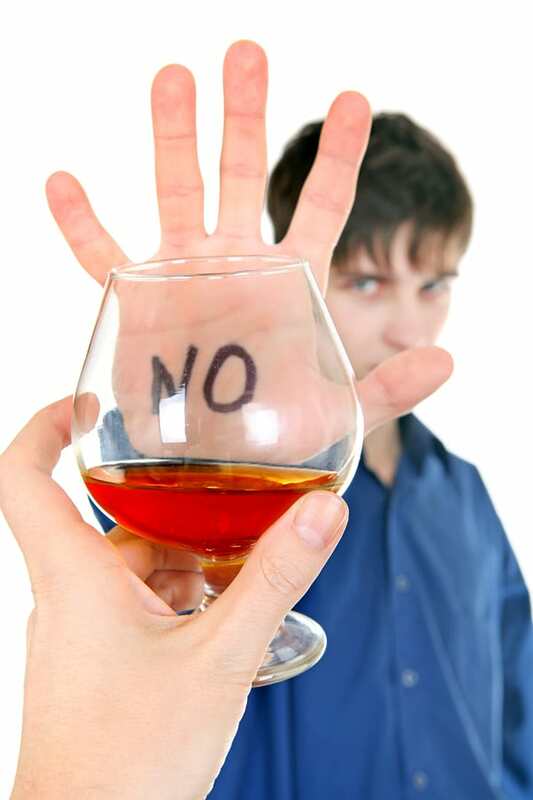 Even if you have a permissive attitude toward underage drinking, no one wants to see a teen abuse alcohol or have them make a bad decision and get behind the wheel drunk. The latest data is encouraging because it shows a steady decline in teen binge drinking, and hopefully that downward trend will continue. If a person is determined to drink and drive or they think drinking and driving isn’t a big deal, it can be really hard to stop them. From the moment he or she pulls out of the driveway or parking lot that driver is a danger to themselves and others, and it’s even worse if they have innocent passengers in the vehicle. That’s why there are laws like Leandra’s Law. Named for Leandra Rosado, an 11-year-old girl who was killed when her friend’s mother drove drunk and flipped her car, Leandra’s Law was signed into New York law in 2009. 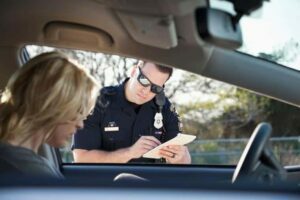 It states that any driver who drinks and drives with a person under the age of 15 or younger in the vehicle will receive an automatic felony on his or her first offense. It’s hard to believe that anyone would think it was OK to drive drunk with children in the vehicle, but Leandra’s Law is put into play more frequently than you’d think. One of the recent cases involved an underage drinking driver and the four children she was babysitting. She was caught in a mall parking lot after someone noticed her wandering, unable to find her vehicle, with four small children in tow. That person called 911 to report an intoxicated driver, and she pulled her own vehicle across the exit so the young woman couldn’t leave until the police arrived. Turns out, the driver was only 19 years old, and she was babysitting the four children who were passengers in her car. She’s received multiple charges including driving while intoxicated (DWI) and a violation of Leandra’s Law, aggravated DWI with a child passenger 15 years or younger. It’s bad enough when you drink and drive on your own, but it’s unthinkable to put the life or lives of innocent children in danger. This driver has learned that at a very young age, and hopefully that felony charge sets the tone for this young girl and anyone reading her story. When kids are involved, a first offense can stay with you for a long time.